Clear lines, silver accents, black and white – the appearance of the Melitta® Cafina® XT7 shows off its high technical quality and state-of-the-art technology. 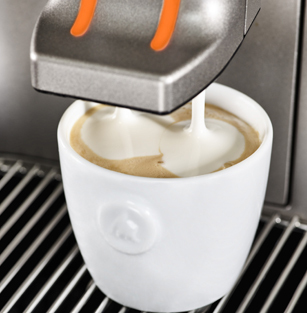 Melitta® Cafina® XT7 - For a wide variety of milk foam. a stable milk foam with fine coffee rim ensures a very special taste experience. 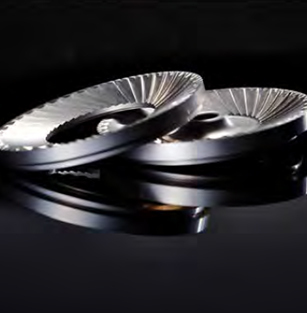 ACS® automatically readjusts the grinding disks throughout their entire lifetime. It adjusts the coarseness of grounds, quantity of powder, pressure, brewing time and water temperature. The quality remains high, the amount of coffee required is low and no service appointments are required for readjustment. 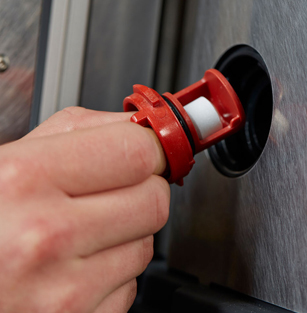 Maximum cleanliness in accordance with HACCP standards thanks to the fully automatic cleaning of all milk pipes, without exchanging components for simple operation. 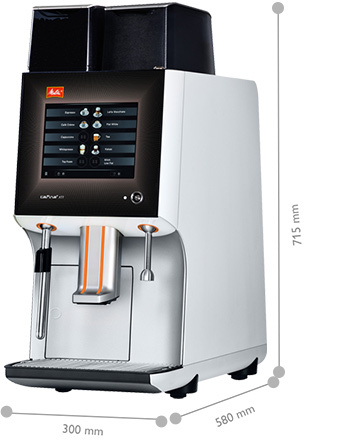 The high quality of the carefully selected materials, such as the 3 mm thick aluminium side panels and the robust industrial-quality touchscreen display provide low-maintenance operation and constant coffee. The look of the Melitta® Cafina® XT7 underlines the high technical quality and state-of-the-art, and fits in both technically and visually with the familiar modules of the XT range. Sometimes in the morning, only a double espresso will do the trick. Later on, it may be an "Italiano" every now and again – a textbook example of a cappuccino. First of all, espresso flows into the cup and then milk foam is added on top of this. In between, how about a tasty cup of cocoa with hot milk and dark chocolate? And you'll need hot water throughout the day for the very special range of teas. More information about Melitta® coffee machines and Melitta® coffee: Brochures, data sheets and other information.